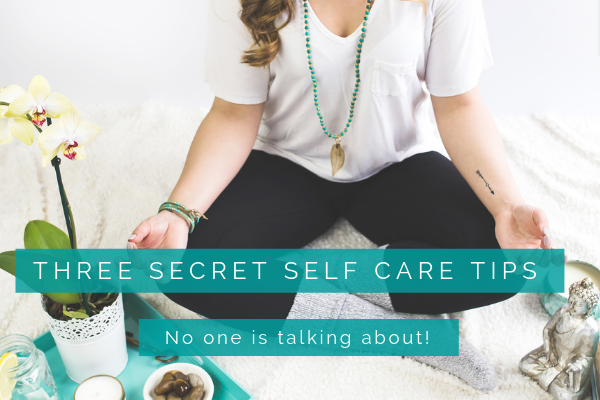 » Three secret self care tips that no one is talking about. There's so much buzz around self care and filling your cup these days but for some, filling your cup can become a full time job if you don't have a look at why your cup is empty. Is there a hole in it? Does it have a crack? Where is all that dang energy gone anyways?! Keep reading because below I am going to share with you the three most common reasons we are leaking energy. As well as how plugging those leaks is the most important thing to do for your self care. Perhaps you have a negative or draining friend or family member and you need to set some boundaries? Avoiding that difficult conversation and tolerating others negative behaviour can be a huge energy leak. If you are blessed by being sensitive, you will feel drained when you share relationships with people who fail to take responsibility for their own energetic needs. If you have people in your life who don’t know how to take care of their own energy and fill their own cup, they will be drawing it from you when you engage with them. They can zap you of your energy as fast as you can say 'vampire' with something as simple as a text message if you allow them to. If you have one or more of these types of relationships in your life, you will either need to set some boundaries and/or limit your exchanges and facetime with them in order to protect your own energy. It may not always be possible or in the highest good to eliminate these people from your life completely (like if it’s your spouse or immediate family member) but it is perfectly ok to say no to them. No matter how much junk they throw at you or what kind of tantrum they have about your new boundaries, you are never responsible for someone else's energy, behaviour, feelings or actions. Setting healthy boundaries can be uncomfortable when first starting out but gets easier the more you practice. If the idea of saying no to someone makes you want to come out of your skin, you can start out small and build up to bigger boundaries as you expand your comfort levels. See how you are saying no, but giving them another option? Only one other choice though. It’s a subtle adjustment that allows you to feel more empowered in the exchange. As you start to feel more empowered, you can become firmer in your resolve. Not everyone will stick around for the new and sovereign version of you, as the new energetic exchange will challenge the previous arrangement and not every relationship can withstand it. If you want to regain your energy though, you have to look at where you are giving your power away. Could your fatigue be caused by your unfulfilled potential? How much of an energy leak are you experiencing because of all those creative inspirations you have not focused your attention on? While you relive your Groundhog Day existence, you tell yourself you'll play tomorrow, you'll write later, you'll sing soon; you're failing to focus and direct all of your juicy potential so it gets chewed up in mundane tasks that dry it up at rapid speed. When you do those juicy things you love and bring your magnificence into all its glory, your energy doubles rather than depletes. So what is that thing you left behind as you took up the mantle of responsible adult? What have you always wanted to do or learn that remains a distant dream? I’ve always wanted to write fiction novels, learn to dance hip hop, sing in a choir and join an amateur theatre company. I may not be able to do all of them right now but I joined a choir last year because, having unexpressed creativity was seriously depleting me. What could you take up that would excite and inspire you? Have you become disconnected from your responsibilities? If you have let your bills pile up, left your house work unattended or have other commitments that you aren’t taking care of, it is very taxing on your energy levels. Learn to prioritise important tasks so that you are in charge of your life rather than letting it run you by waiting until things are urgent. Avoid overscheduling yourself (again, saying no when people try to load you up with stuff that’s important to them but not to you) and allow enough time in your schedule to complete those things that you are responsible for. Avoid saying yes to things you know you can’t do or you could do at the expense of your own wellbeing. Overcommitting and then letting people down is hugely taxing on your energy! Learn to ask for support or delegate some things to other people so you aren’t always the one doing all the things. Don’t let things pile up until it drains you to even think about taking care of it. If you take on too much and neglect your responsibilities, you will find yourself going to bed at the end of each day with a sense of energetic debt. You’ll then wake up with an energetic hangover and start your new day already drained. What do you need to take off your plate? Who could you ask to support you? And what could you do right away that would help you feel empowered? If you've been feeling exhausted and depleted, instead of dreaming of holidays and spa days to fill up your leaky cup, take care of your responsibilities, follow your bliss and set boundaries with those who deplete you. You will find your cup won’t be so empty that way. Then, have a holiday or a massage and allow yourself to be energetically overflowing, ready to rock your life! Subscribe below to receive your free channelled meditation to clear and restore your energy so you can feel empowered end renewed. Kelly Paris is an Intuitive Healer, Visionary and Confidence Catalyst, whos greatest joy is supporting women to connect to their intuition and develop their divine gifts so they can create their own unique version of success.